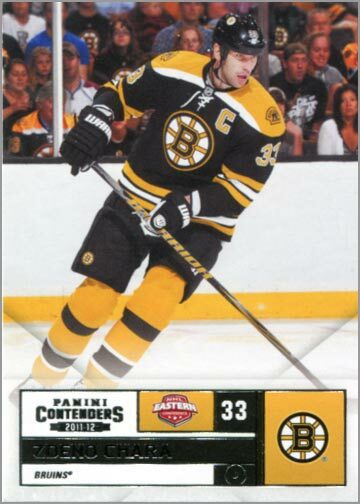 Panini is a company that I generally like, but truth be told I haven’t really cared for many of their products from this season or last season. It’s like they try really hard, but in the end they do a few things I dislike (glossy parallels in Score, making Ice Kings really hard to get, no updates for many of their sets, and so forth). 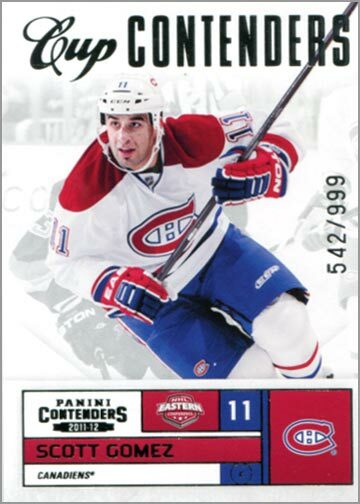 So I am generally cautious when buying any of their hockey cards. 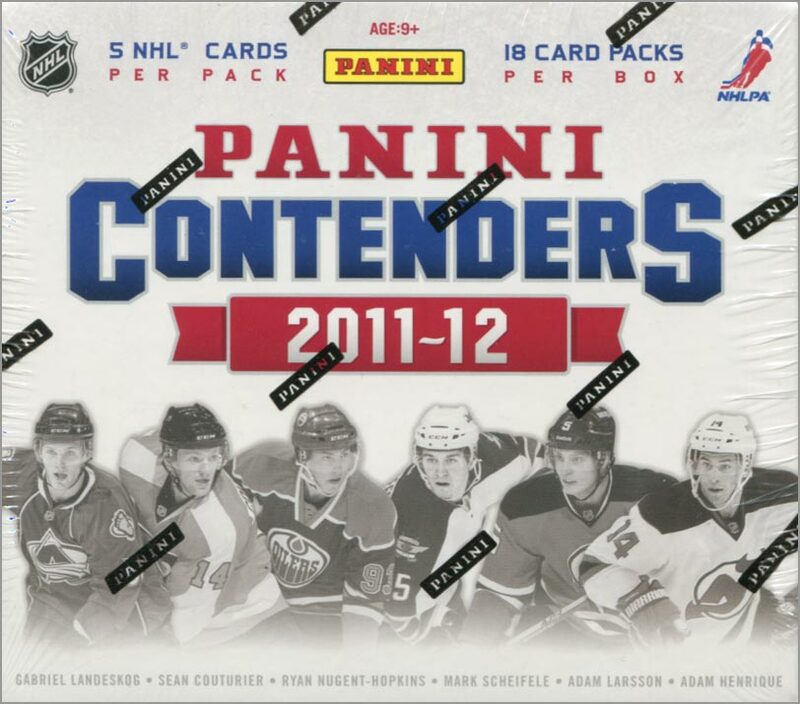 But then I saw this box of 2011-12 Panini Contenders at a local card shop. On the box it said “Three Autographs Per Box”. I haven’t opened anything in a while, i like getting autographed cards and I had a gift card burning a hole in my pocket. I’m not sure how I feel about the design. It is kind of neat to put everything at the bottom in a “capsule,” but is the conference logo really necessary. This would be a great layout for a CCG (collectible card game) type set like Adrenalyn. One nice thing is that I did not get any doubles. 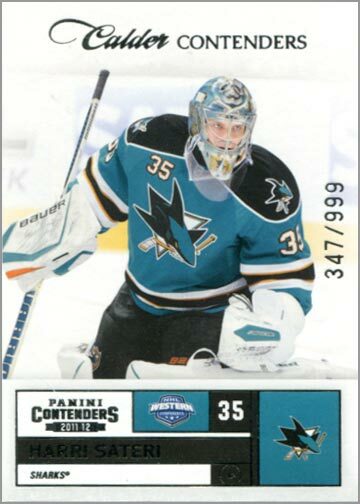 Harri Sateri was a backup goalie for the Sharks this season for at least one game, but didn’t actually get into a game. 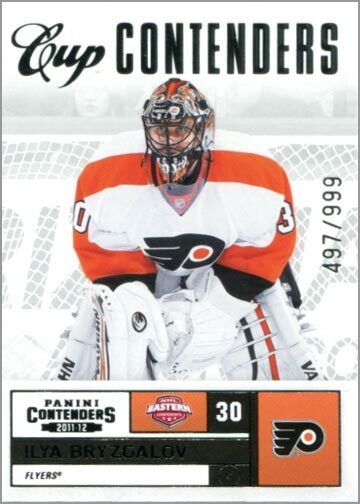 Sorry if I can’t get too excited about this “Calder Contender.” This insert is limited to 999 copies. 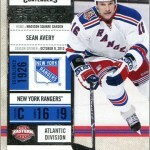 These “Cup Contenders” cards are also limited to 999 copies. 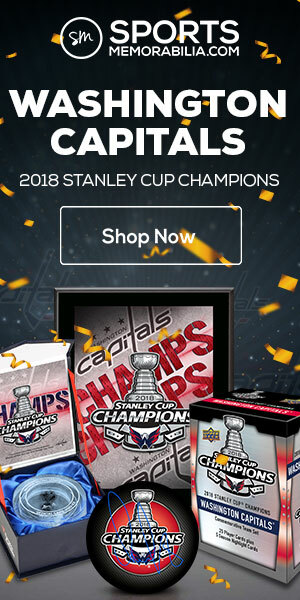 Personally, I would have enjoyed getting a few more rookie cards instead. First I pulled a redemption card for a Brett Bulmer autograph? This surprised me a bit, since Contenders was released late in the season. 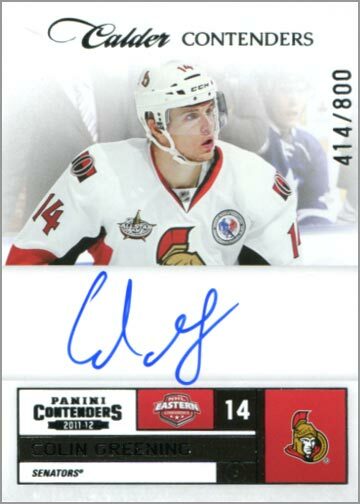 Then I got this hard signed card of Colin Greening. 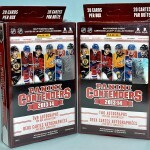 I guess there are signed and unsigned versions of the “Calder Contenders” rookie cards, but I am not sure. 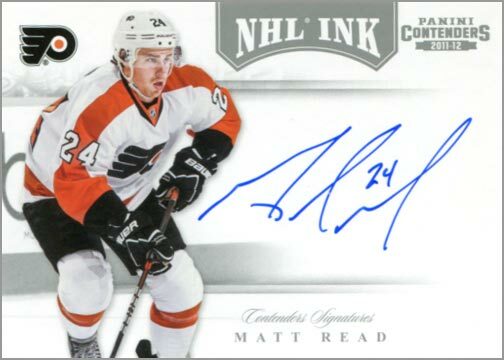 Next up was this autographed card of Matt Read, which is part of an insert set called NHL INK. So, those were my three autographs. I was hoping that maybe, just maybe, I would beat the odds and get a fourth signed card. 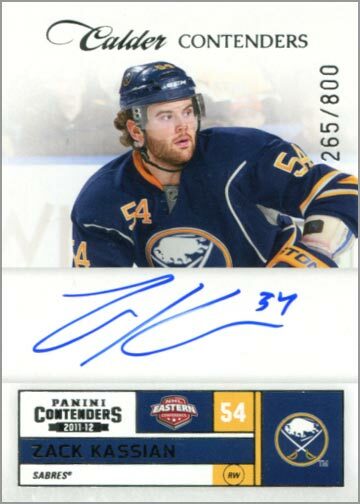 Zack Kassian was drafted by the Buffalo Sabres, but traded to the Vancouver Canucks late in the season. So, I ended with 3 autographed cards, a promissory note for a 4th one, and 83% of a base set. If anyone else has some base cards for trade, let me know. 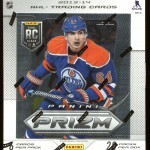 I’d like to get the last 17 cards I need to finish this base set–see my Want List. 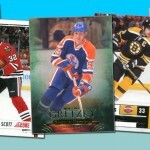 Likewise, the Sateri, Bryzgalov and Gomez short prints are for trade. 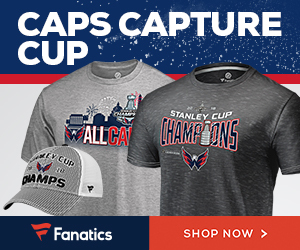 And if you haven’t done so already, please check out the latest Contest. You fared better than I, my friend. You fared better than I. 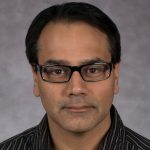 Previous Previous post: New Website…and a Contest!